Provide comfort for the family of Joseph Carter with a meaningful gesture of sympathy. 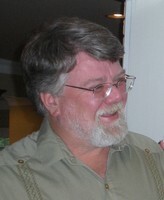 Joseph Watson Carter (Joey), 56, of Salem, Va., passed away on Wednesday, March 20, 2019. He was preceded in death by a sister, Sidney Carter. His surviving family includes his parents, T.A. and Jeanette Carter; sister, Treva Carter; brother, Eddie Carter (Juliette); former wife, Cathi Caldwell Carter; as well as niece, Amber Mason (Channing); nephews, Jeremy Carter (Ines) and Ben Carter (Melissa); and other family members including great-nieces and great-nephews, aunts, uncles, and loving cousins. After attending Salem High School, Joey proudly graduated from Virginia Tech as a history major. He then spent his career in Roanoke Valley real estate as a developer and entrepreneur. A memorial service will be held at 11 a.m. on Monday, March 25, 2019, in the John M. Oakey & Son Chapel in Salem. 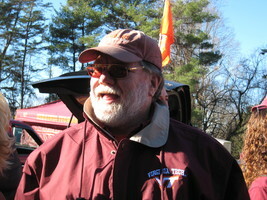 In lieu of flowers, please consider charitable contributions to the Virginia Tech Foundation (www.vt.edu). 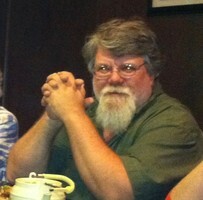 Online condolences may be expressed at www.johnmoakey.com. I am so sorry for your loss! Praying for the family! Our heartfelt sorrows to lose Joey.. I knew Joey from Salem High School. I remember going to listen to his band rehearse. They could jam on the Rolling Stones! Joey was always such a nice guy. Always friendly. My sincere condolences to his family and friends.